Stroll along Orange Avenue to peruse the numerous boutique shops, enjoy a delicious meal at one of the many eateries or take in a show at the vintage theatre or local playhouse. Put your toes in the sand at one of the BEST beaches in the United States, Center Beach or let your best friend romp around at dog-friendly North Beach. Play 18 holes at one of the highest rated public courses in the nation while taking in stunning views of Glorietta Bay and the Coronado Bridge. Pick a spot along San Diego Bay to watch the ever-changing views or hop on the Ferry to Downtown San Diego. The Coronado Cays is a planned community between Coronado Village and Imperial Beach. It’s development began in 1968 and is now home to 1,200 condos, townhomes and single family residences. What makes this neighborhood so unique is that is the only residential marina community in San Diego County with over 600 private boat slips. There are 10 exclusive Villages, parks and tennis courts. It is adjacent to the 5-Star Lowes Coronado Bay Resort which does offer benefits to Cays residents. Sitting along a beautiful stretch of beach just south of the Hotel Del Coronado is the Coronado Shores. This gated community offered resort quality amenities to its owners. The complex includes ten 15-story towers. Each building has 140+ units and is managed by a separate homeowners association. Some of the amenities include 4 pools, 8 tennis courts, clubhouse and state of the art fitness center. Activities such as yoga, pilates, water aerobics, bridge, live music and dancing are available to keep residents busy. Bordered by the Pacific Ocean, Glorietta Bay and San Diego Bay, the picturesque seaside city of Coronado is unlike any place else in Southern California! Only 14 square miles, this uniquely enchanting city has some of the world’s most pristine beaches, 22 public parks, recreational facilities, tennis courts, yacht clubs and an 18-hole golf course. At the heart of our city is a strong military presence! Coronado is home to North Island Navel Base and Navy Amphibious Base, headquarters of the US Navy Seals. 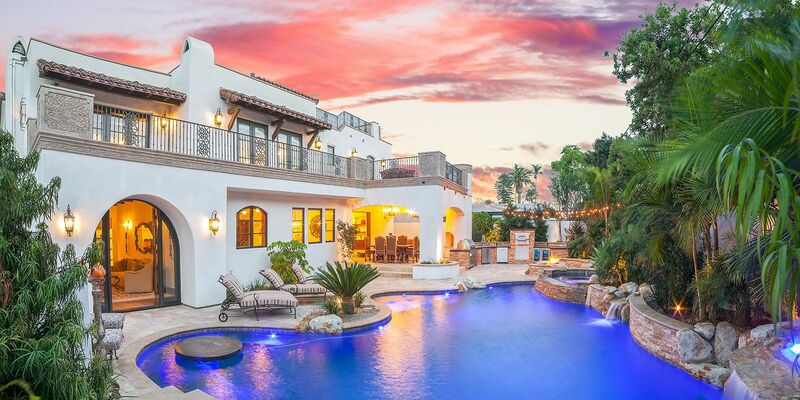 Let the Clements Group of Berkshire Hathaway HomeServices California Properties, with over 20 years of experience selling Coronado real estate, guide you in locating the perfect home or investment property. Whether you are searching for a cottage in the Village, condo in the Coronado Shores, a home with a private dock in the Coronado Cays or a waterfront estate, put our team to work for you! We’d love to show you why we have been a leader in Coronado since 2010.